Mucho Macho Man followed protocol for this year's Derby Trail by limping home in the Louisiana Derby on Saturday at Fair Grounds. Another example of the trend of horses backing up this year. PREMIER PEGASUS remains the only bright spot in the preps so far, in terms of excitement. Very impressive in dusting the field in the San Felipe by 7+ lengths. He gets the second spot as the Derby Top 21 - #2, right behind UNCLE MO. 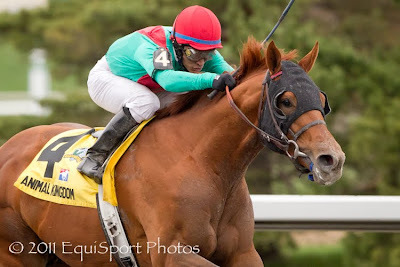 Maybe we will see a second horse in a break out performance next Sunday in the Florida Derby... I'm not holding my breath. MUCHO MACHO MAN threw a shoe early on in the Louisiana Derby, and perhaps remarkably was able to finish a competitive 3rd. Kathy Ritvo, the colts' trainer was given the shoe by the gate crew. "Apparently, he stepped on it right out of the gate and ran the whole race without that shoe. I’ll find out which one it was when I get back to the barn. It is an excuse, but Pants On Fire ran a great race," she said afterward. I'm willing to draw a line through this one for Mucho Macho Man, and leave him in as Derby Top 21 - #5. 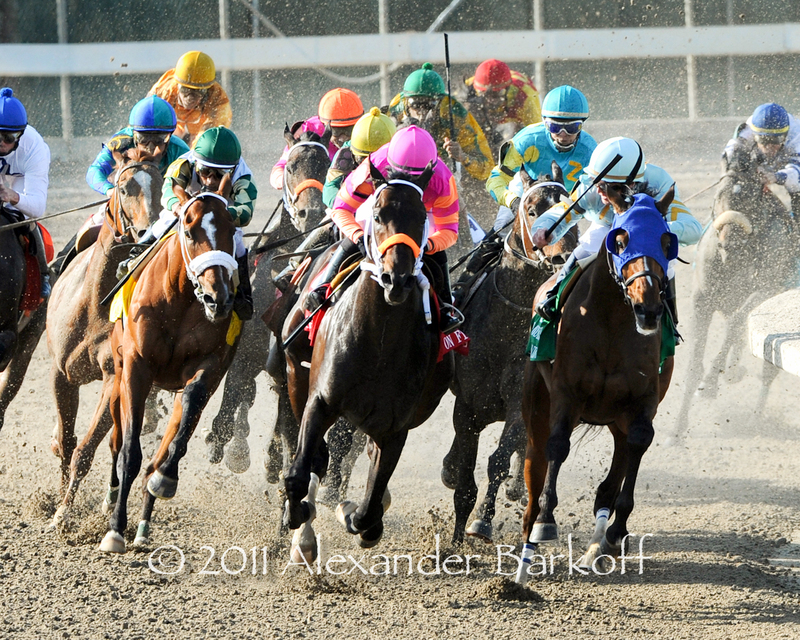 PANTS ON FIRE, under leading rider Rosie Napravnik, held off second place Nehro by a neck in the Louisiana Derby. It was another 1/2 back to Mucho Macho Man. "Mucho Macho Man came up next to us and he just dug in and he really finished with all heart," Napravnik said of Pants On Fire. Does he deserve a spot in the Top 21? Well, he has the earnings, so he will be in the gate come Derby Day. I'll drop Pants On Fire in as Derby Top 21 - #14. NEHRO ran a game 2nd in the Louisiana Derby, and is on the earnings bubble. 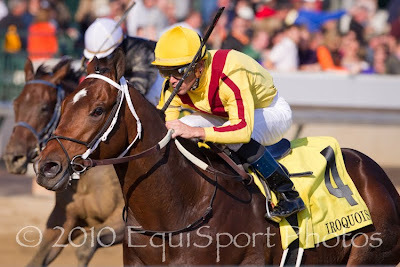 The Steve Asmussen trainee needs another start to secure a spot in the Derby. He's the Derby Top 21 - #19 for this week. 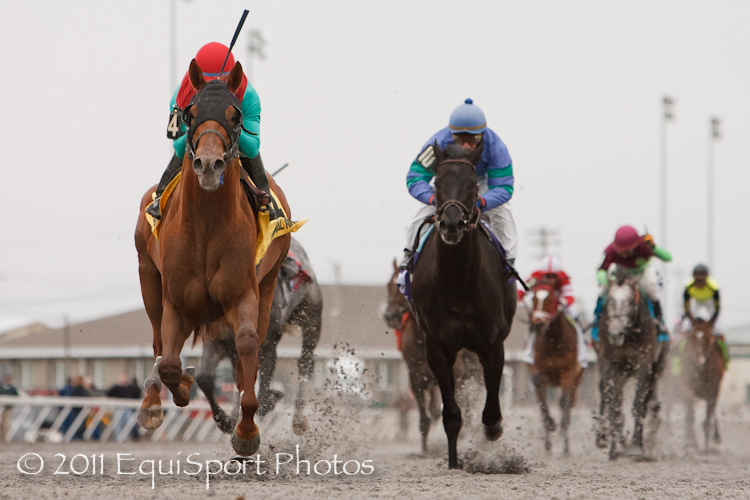 At Turfway Park it was ANIMAL KINGDOM prevailing in the Vinery Spiral Stakes (G3). The Team Valor homebred son of Leroidesanimeaux now has the earnings for the Kentucky Derby, but has not yet made a start on dirt. The course for Animal Kingdom has yet to be decided. Trainer Graham Motion and Team Valor's Barry Irwin have options now, “We haven’t had him on the dirt but it’s something Barry and I will talk about. I don’t think distance is a problem," Motion said. With everybody backing up, I'm putting Animal Kingdom in as Derby Top 21 - #9. ASTROLOGY made his long awaited comeback in the Sunland Derby. Well, he tried to come back, but ran out of gas with a furlong to go, finishing second. Another case of a horse backing down the Derby Trail. I'll give the colt credit for a nice run after 5 months off that included recovering from illness. He's the Derby Top 21 - #13. TWICE THE APPEAL, (Successful Appeal), is now on the Trail as Derby Top 21 - #15 by virtue of his win in the Sunland Derby. The Jeff Bonde trained colt survived fast early fractions, and overhauled a bouncing Astrology in the stretch. Perhaps following in the footsteps of the widely discounted Mine That Bird down the Trail? MASTER OF HOUNDS (Kingmambo) is eligible on earnings after a nice 2nd place finish in the UAE Derby. Trainer Aidan O'Brien is keeping options open, “Master Of Hounds is in the English 2000 Guineas (Eng-I) and would have a Kentucky Derby option."